The Celtic gods were smiling down on the 12th annual Cortland Celtic Festival last weekend. After a summer of hot, humid weather, a cold front passed through and left a perfect day for the upstate New York festival. Lion Rampant of Scotland flag waves in the breeze as the Caledonian Pipe Band from Buffalo performs on a beautiful summer day for the Cortland Celtic Festival at the Dwyer Memorial Park in Little York, New York during opening ceremonies. Nikon D700/28-300VR, 1/125s, f/18, ISO 200, EV +0.3, 36mm focal length. This was the first year for the Cortland Celtic Festival at Dwyer Memorial Park in Little York, New York. A picturesque public park eight miles north of Cortland with a wide field for the Highland Games, plenty of space for food and merchandise vendors, pavilions for entertainment and shady picnic areas for visitors. Even more picturesque were the colorful Clans people wearing their traditional dress in attendance. 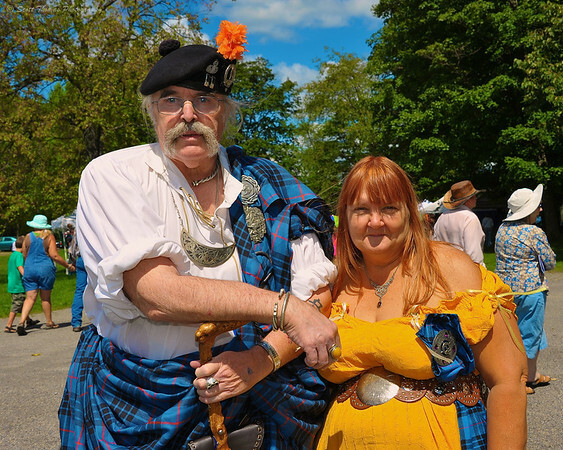 Members of Scottish Clan MacKay in traditional dress attending the Cortland Celtic Festival at Dwyer Memorial Park in Little York, New York. Nikon D700/28-300VR, 1/320s, f/13, ISO 200, EV +0.3, 42mm focal length, fill flash. A whole day of Highland Games included heavy stone throwing, hammer throw, sheaf and caber toss. There was a mix of veterans and rookies competing which made for some exciting moments in the caber toss. 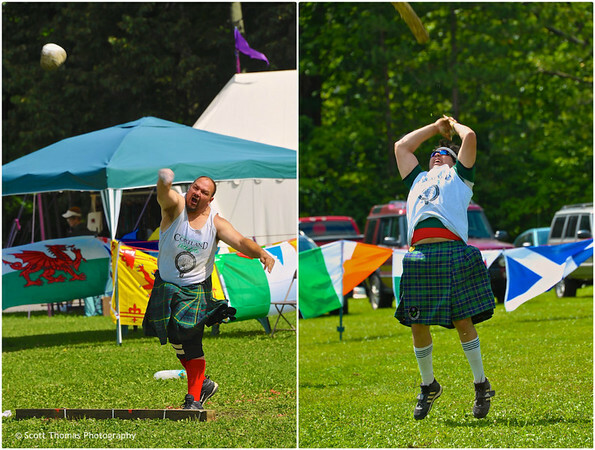 Highland Games athletes competing during the Cortland Celtic Festival. Open Stone Throw on the left, Caber Toss on the right. Musical entertainment is always a big part of a Celtic festival. For bagpipes, the Caledonian Pipe & Drum Band of Buffalo kicked things off at the opening ceremonies. For traditional and non-traditional music, I enjoyed the sounds of Doolin O’Dey and Falls Road. 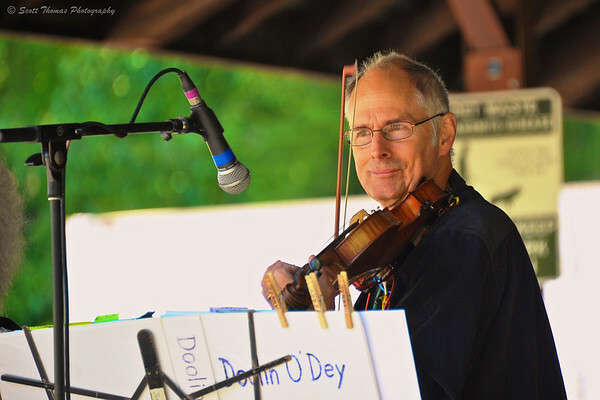 Fiddle player for Doolin O’Dey Jerry Drumhalle performing during the Cortland Celtic Festival at the Dwyer Memorial Park in Little York, New York. Nikon D700/28-300VR, 1/125s, f/5.6, ISO 720, EV +0.3, 300mm focal length. There was quite a variety of food on hand. Turkey legs (aka Caveman Pops), meat pies, roasted corn, BBQ turkey, dessert crepes, grilled cheese sandwiches, ice cream and maple treats and plenty of beer on tap. No one could complain about being hungry. 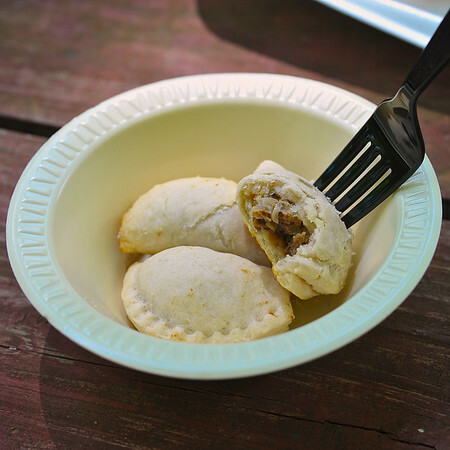 Meat pies from Paddy’s Pub served during the Cortland Celtic Festival at the Dwyer Memorial Park in Little York, New York. Nikon D700/28-300VR, 1/125s, f/5.6, ISO 200, EV +0.3, 56mm focal length. 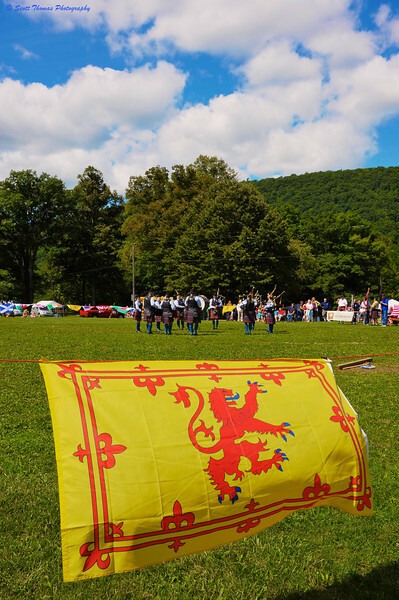 The Cortland Celtic Festival is a fun and enjoyable way to celebrate Scottish traditions and games a short twenty minute drive on Interstate 81 South from Syracuse. Mark your calendars for the 2013 festival on August 24 & 25. This entry was posted in People, Weekly View and tagged 28-300mm, bagpipes, caber toss, caledonian pipe band, cortland celtic festival, drums, dwyer memorial park, flag, food, highland games, kilts, little york, meat pies, new york, nikon D700, open stone, scotland, vr. Bookmark the permalink. Thanks for the lovely salute to our wonderful festival! Glad you were able to make the event and hope you come back next year! You are most welcome, Nanci. It was a fun event with a nice selection of entertainment, games and food.